For many people, buying or selling real estate is one of the most expensive transactions of their lives. If you are hoping to buy or sell a house or condominium in Leominster, it may be beneficial to retain an experienced real estate attorney to help negotiate the deal, make sure that you understand your obligations, and ensure that you are taking the home with clear and marketable title. Most people cannot buy a home outright, and they must work with a bank or another institutional lender in order to be able to finance the purchase of the home. This adds another layer of complexity to a transaction with which most people are not familiar. Our Leominster real estate lawyers are here to guide you through this process. Numerous laws have been enacted to ensure that consumers understand the nature of their mortgage and the real estate settlement process or closing. RESPA is one of these laws, and it was enacted to protect a buyer from lenders' abusive practices in connection with closing costs. 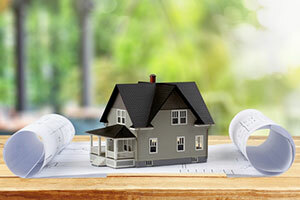 RESPA applies to most mortgages that are for homes made up of 1-4 units and that are first-lien federally related loans. RESPA requires the borrower to receive several disclosures about this process. It also prevents lenders from requesting too much in escrow deposits or from getting kickbacks for sending a buyer to a particular service or another lender. Many lenders require escrow accounts to pay for various taxes and premiums. RESPA also requires your mortgage broker to provide you with information about its relationships when, for instance, it offers services for home inspections, moving, or title insurance. You are allowed to shop for any of these services in places other than those that have a relationship with your broker, and you may get a better deal by doing so. In addition to receiving disclosures, you need to understand the terms and conditions of the mortgage. Certain mortgages are more complex than others, and they may require you to pay closer attention to the details. For example, a payment option adjustable rate mortgage may have a negative amortization feature. Negative amortization occurs when a borrower pays less than the interest, and the remaining difference is added to the balance of the loan. A real estate attorney in the Leominster area can explain how this works in greater detail. The mortgage payment has two parts. One is interest for the month, and the other is amortization (reduction in the loan balance) of the principal. If you obtain a mortgage that has negative amortization as a feature, you are allowed to pay a small amount initially, but eventually the monthly payments get quite high. When you have a fixed rate graduated payment mortgage, you will know when the payment is going to increase. The initial amount of the monthly mortgage payment may be tricky, and many people are blindsided when the amount that they need to pay suddenly increases drastically. In addition to making sure that the mortgage that you choose suits your needs, you must also make sure that you are buying a home that has clear and marketable title. When you have marketable title, this means that the chain of ownership of your home is free from defects, and you should be able to sell it in the future without fear of someone with a past interest in the home showing up and saying that they are the rightful owner or have an interest in using the property of which you did not know. In addition to advising you on various aspects of your mortgage, an experienced attorney can conduct a title examination and take other steps to help you feel secure in the purchase or sale of your home. Leominster has a population of over 40,000 residents. This makes it the second-largest city in Worcester County. The surrounding region was originally inhabited by Native Americans and later became known for a flourishing comb industry. At Pulgini & Norton, our experienced Leominster real estate attorneys can advise you on a strong strategy for buying or selling a home and securing your mortgage. For a consultation with a property transaction lawyer, contact us online or call us at 781-843-2200.